Once again, we eagerly anticipated the arrival of Evan Peters on American Horror Story, and once again, it did not happen. HOWEVER, we were gifted the next best thing in the form of one very attractive Uber driver from Roanoke, North Carolina. His name is Rhett. Everyone, say hi to Rhett!! It was totally random and also completely ridiculously. American Horror Story, we are in the middle of a Roanoke crisis right now with “My Roanoke Nightmare” and suddenly, you just cut to a Talking Head of an Uber driver? It was the first real, LOL-moment of the season (accompanied by Cricket’s *colorful* commentary about the Uber driver). But now let’s take a step back, and remember that this is American Horror Story, and they’re not just going to throw in a random Uber driver for the hell of it. This Rhett might be a MUCH bigger part of AHS than we realize, because take a look at his last name. 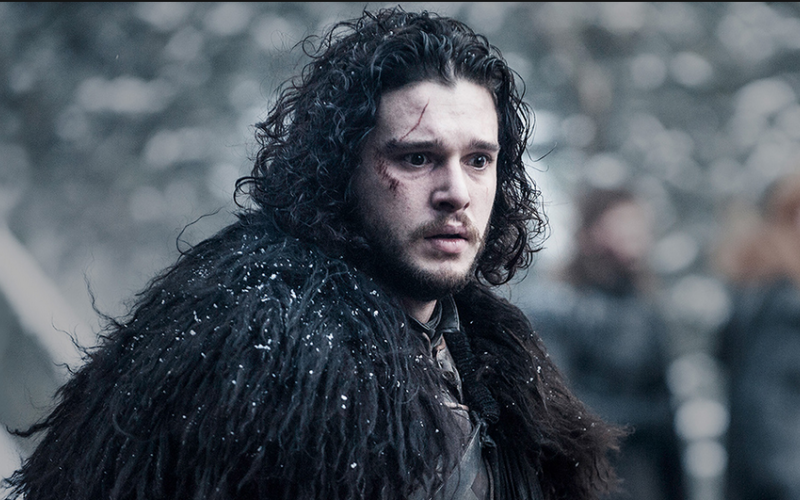 Know who else has the last name of Snow? MYRTLE SNOW, played by Frances Conroy! Here’s your quick Myrtle Snow refresher: She was a witch during Season 3, Coven, and she did not get along with Fiona (the unstoppable Jessica Lange). Myrtle was head of the Witches’ Council before she was burned at the steak…twice. She was incredibly powerful, and like a mother to the new Supreme (after Fiona), Cordelia (Sarah Paulson). We already know that there’s some sort of ~presence~ in the Roanoke Murde House, and there was a seance last week. 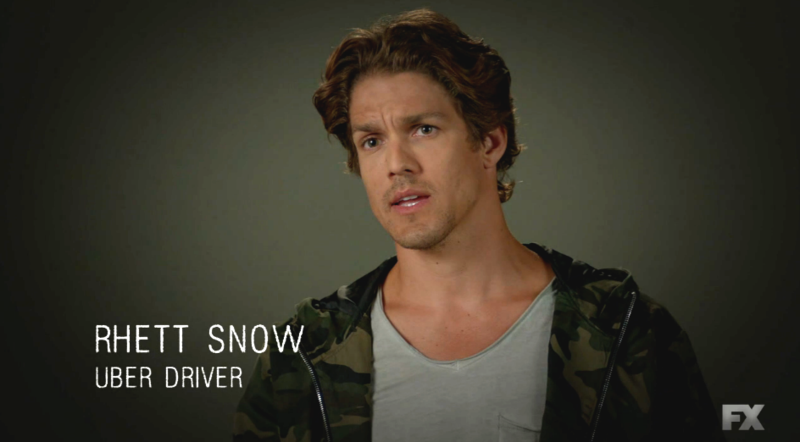 The team behind AHS probably isn't just picking random names out of a hat for Uber drivers on the show, so the surname of SNOW could be a HUGE connection back to Myrtle (or, Rhett Snow might one day rule Westeros, idk). Might this Rhett be a relative of Snow, and could we see him again? (The internet really wants to see him again) Is there a chance he’s got ~powers~ himself? Is he behind the Roanoke Nightmare? Or did Cricket just get SUPER LUCKY with a super attractive Uber driver? And more importantly, should we start preparing our hearts for France Conroy to return to the show? If she’s the ~BIG TWIST~ coming in Episode 6, we’re totally okay with that.